Following more than two decades of research, the results of the CANTOS trial found that the IL-1β inhibitor canakinumab lowers the risk of cardiovascular disease and lung cancer risk by reducing inflammation. Presented at the European Society of Cardiology Congress in Barcelona and published in the NEJM, the trial aimed to test whether reducing inflammation in patients who had a prior heart attack can lower the risk of another cardiovascular event. Canakinumab is a human monoclonal antibody that neutralises interleukin-1β signalling, thereby suppressing inflammation. It is used to treat rare inherited conditions associated with overproduction of IL-1β. The study included 10,061 patients who had previously had a heart attack and had persistent, elevated levels of high sensitivity C-reactive protein (hsCRP), a marker of inflammation. 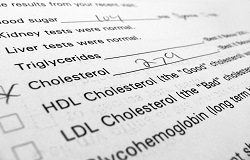 All patients received aggressive standard care, which included high doses of cholesterol-lowering statins. In addition, participants were randomised to receive 50, 150 or 300mg of canakinumab, or a placebo, administered subcutaneously once every three months. Patients were followed for up to four years. The primary endpoint was the first occurrence of non-fatal myocardial infarction, non-fatal stroke, or cardiovascular death. The secondary endpoint was the first occurrence of any of the above, or of hospitalisation for unstable angina requiring urgent revascularisation. Canakinumab at doses of 150 or 300mg reduced the risk of a cardiovascular event (the primary endpoint) by 15% and 14%, respectively. The secondary endpoint was reduced by 17% in the groups taking 150 or 300mg of canakinumab. Due to multiplicity testing, only the 150mg dose formally met statistical significance for both the primary and secondary endpoints. Overall, the drug was found to be safe, but approximately one in every 1 000 patients had a potentially fatal infection. Exploratory analyses revealed that canakinumab dramatically cut rates of total cancer death, especially death due to lung cancer, as well as the incidence of lung cancer. The effects were dose dependent.